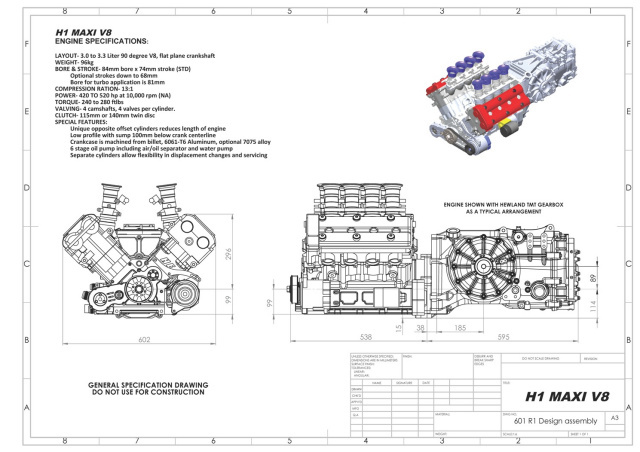 THE H1 MAXI V8! TAKING THE EXPERIENCE LEARNED FROM 3 EARLIER GENERATIONS OF SPORT BIKE BASED V8'S, WE DECIDED TO TAKE THE NEXT ENGINE TO A NEW LEVEL BY INCREASING THE STROKE TO WELL BEYOND WHAT HAS BEEN PREVIOUSLY OFFERED. THE RESULT IS THE MAXI V8; THE BIGGEST AND MOST POWERFUL SUCH ENGINE BUILD TO DATE. CLUTCH- 115mm or 140mm twin disc. Unique opposite offset cylinders reduces length of engine. Low profile sump with 100mm below crank centerline. 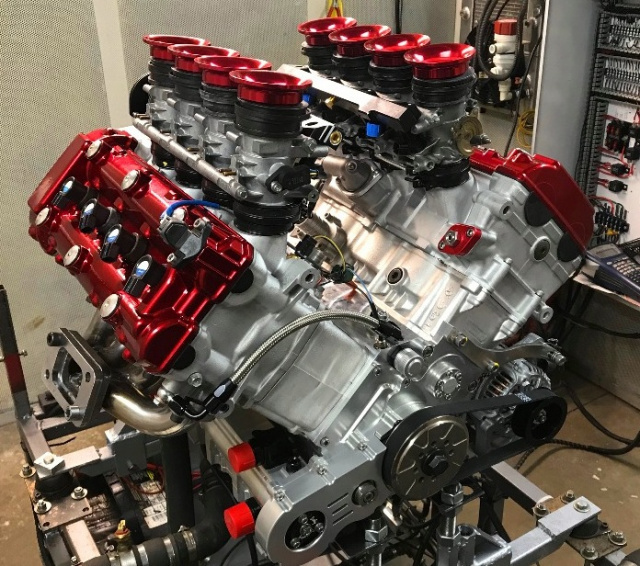 Crankcase is machined from billet, 6061-T6 aluminum. Optional 7075-T6 alloy. 6 stage oil pump including air/oil separator and water pump. Separate cylinders allow flexibility in displacement changes and servicing.